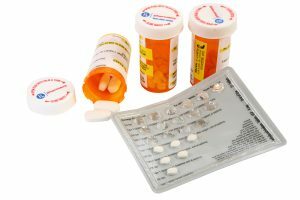 The 6 Elements of a Prescription Medication Malpractice Lawsuit | Craven, Hoover, & Blazek P.C. ← Can I Sue if I Am Partly to Blame for My Personal Injury? If you’ve ever been prescribed medication, you are likely familiar with the fact the most come with side effects. What you may not know is that these side effects must be properly disclosed, considered, and administered by a doctor and pharmacy, otherwise, it could be basis for a medical malpractice lawsuit in the case that a patient suffers serious injury as a result of taking the medication. 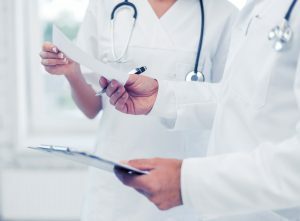 Medical malpractice lawsuits are among the most complex and the most serious personal injury cases, and they vary greatly from case to case. But overall, there are 6 elements that must be true to the case in order to have grounds to sue for medical malpractice. Continue reading to learn the legal duties of physicians who prescribe medicines, as well as, the 6 elements of a prescription medication malpractice lawsuit. Side effects are symptoms that occur unrelated to the original condition as a result of taking a certain prescribed medication. There are several types of side effects, ranging from minor to serious. Minor side effects may include nausea, fatigue, temporary rash, irritability, and dry eyes. But depending on the type of medication, there are also several types of serious side effects, like organ damage, organ failure, depression, suicidal thoughts, and more. ☤ The known side effects of the medication in question. On top of the above assessments, Doctors must be sure to properly fill out a prescription, while nurses must properly administer the correct dosages if patients are receiving an injection in the doctor’s office. As for pharmacists, they have the legal responsibility to read the written prescription correctly and fill it with the accurate amounts and dosages using the proper protocol. ① It must be proven that the patient took the medication strictly according to the directions they were given by either the doctor or pharmacist. ② If a patients injuries stemmed from a “failure to warn”, they must prove that the medical professional did not use proper protocol to inform them of the side effects of using the prescribed medication. ③ If a patients injuries stemmed from an “improper dispersal”, they must prove that the pharmacist made an error by dispensing the incorrect medication or improper dosage. ⑤ A patient will need expert testimony to prove the connection between the medical error and their resulting injuries. ⑥ A patient must prove that the medical error was the direct cause of their injuries and losses compensable under law. 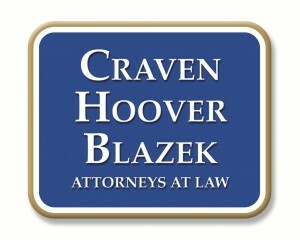 If you believe you are a victim of a medical error, contact Craven, Hoover, and Blazek P.C. at 317-881-2700 to discuss your personal injury claim. We offer free initial consultations and never collect lawyer fees unless we prevail for you. Call 317-881-2700 to speak with our seasoned Indianapolis medical malpractice lawyers, today. This entry was posted in Medical Malpractice and tagged Indianapolis Medical Malpractice Lawyers, Medical Malpractice, medical malpractice lawsuit, prescription medication lawsuit, Prescription Medication Malpractice. Bookmark the permalink.